The former IU All-American was living in Lafayette with a woman who worked for the Purdue Credit Union at the time of this conversation, which wasn’t pleasing a lot of IU fans. He kept showing up on the broadcasts of Purdue games, sitting in seats near the playing court and wearing a black and gold sweater. 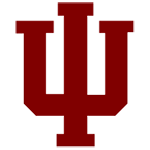 He’s back in Bloomington now, and seems to have re-established ties with the IU program after pulling away during the Kelvin Sampson fallout. 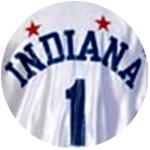 Benson was Indiana’s Mr. Basketball in 1973, and was a national recruit who chose IU over several prominent programs. He was the starting center on the teams that finished the regular season with an undefeated record in 1975 and ’76, and won the NCAA championship in ’76. But his senior season – one I covered for the Indiana Daily Student – was mostly misery. He was the lone returning starter, the leader of a team with a promising freshman class (including Mike Woodson and Butch Carter) that had no shot at great success. And he paid for that, because Bob Knight was accustomed to great success, and rode Benson hard throughout most of the season. Four players quit the team before, during and after that season. It was tumultuous, and, it turned out, the only season in Knight’s career at IU that his team didn’t play in a postseason tournament. 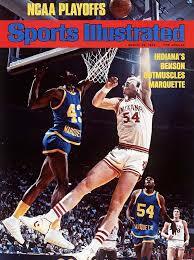 Still, Benson was voted the Big Ten’s Player of the Year, and became the first pick in the NBA draft, by Milwaukee. That was great. But two minutes into his first game, he gave a hard elbow to Kareem Abdul-Jabbar, who responded by slugging him in the face. Benson’s jaw was broken, as was Jabbar’s hand. That wasn’t so great. He went on to play 11 NBA seasons for four teams. He might not have lived up to the expectations of a No. 1 draft pick, but 11 seasons is 11 seasons, and 11 more than the vast majority of humans manage. It’s been an eventful career. Be sure to catch his story about what happened when he saw a friend from high school as the IU bus drove through Ball State’s campus.